"Why are you asking me where your computer is?" Now, I'm picking up the computer, (and speaking in a not-so-quiet, not-so-gentle voice), and place it back on the bed not so gently, "It is RIGHT on top of your bed." "Why can't you keep track of of your things?" Stomp back downstairs to watch Kyra Sedgewick (The Closer) lecture one of her colleagues about how the legal system works pretty well until you throw out the rulebook while she is herself in the midst of a lawsuit for having herself thrown out the book. One of her supervisors then asks "You think she's conscious of what she's saying?" The next morning as I leave on a business trip I can't find my credit card. Anywhere. Being a bit more mature than my son, I don't actually yell (well I don't really yell) at anyone because I've now graduated to yelling only when I'm highlighting others' faults. When I got home from the trip five days later, I find the credit card sitting on my desk at work. If we want to know what's holding us back from achieving our dreams, let's look around. What most bothers us in others, especially our children, just might be our own Achilles' heel. I've been misplacing things my entire life. Only when I saw the apple fall too close to the tree, did I become aware. When I can't keep track of things, I'm less organized, less productive. More importantly, I get rattled. The fallout from that isn't good for achieving my dreams. Maybe as I am now aware enough to work on knowing where things are, I'll be aware enough to find my dreams too. Is there something that really sticks in your craw about someone else? Especially your children? Will you peel things back a bit -- and see what you might discover about yourself? P.S. No children were harmed in the living of this post. P.P.S. After my son and I exchanged words, he apologized for not keeping track of his things. I forgave him. I apologized for losing my temper. Forgiveness is good. After Lisa Duggan, the co-founder and publisher of The Parent du Jour, guest blogged here, she asked if I would guest post over there. It took less than a nanosecond for me to think, I do a lot of things well, but parenting -- "not so much." I could be a better mother. I could. But, if I'm honest, I'm actually a pretty good mom right now. Pressing my advantage, I challenged the "I'm a bad parent" notion to a duel by filling out the parent du jour questionnaire. Having just re-read what I wrote (here's the link), I have to say, it feels like I won. Do you ever think "I'm a bad parent"? If you'd like to become a parent du jour, you can e-mail Lisa at submissions@theparentdujour.com. Who knows what memorable, important, stories might come out of you? A few weeks ago, my 14 year-old son confided in me some of his singing aspirations for high school. Given that I'm perpetually daring people to dream, you'd think I'd have let out a whoop and a holler. I didn't. Not even close. In fact, rather than asking him how I could help, I began to rattle off reasons why his goals might be difficult to achieve. Though well-intentioned, rather than shielding him from disappointment, I only managed to send the message that I didn't believe in him -- just as I had done four years ago. So much for disappointment damage control. A day or two later, I realized that while I may have an inkling as to my son's possibilities, I don't have the whole picture. I apologized to him, acknowledging that no matter how much I love him, and think I know what's best, ultimately only he, with providential help, can know. That I really don't know was further underscored when I saw David play the role of Jean Valjean (Les Miserables) in the St. Peters' school play. Truly, I was blown away. Not only did he sing and act better than I expected, in seeing him on the stage, my perception of him shifted. I saw him as his own person. Not just the kid who sleeps, watches TV, and doesn't pick up his clothes, but as someone who can make a difference in his own right. It is so tempting to mandate our children's dreams, and then to live vicariously through them. All of us do this at least a little. But when we can gently remind ourselves to pull back, letting our children dream their own dreams, they can as Abigail Adams said "fill their circle marked by heaven." And we, as their parents, will have the inestimable privilege of bearing witness to their lives. If your children are older, do you remember the moment when you first realized that they were real people, unexpectedly competent and unique? P.S. In retrospect, it is also remarkable that our daughter would not have auditioned for the play without the encouragement of David. Sure he teases her mercilessly, but he believed in her. It was lovely, small miracle. Six months ago, my daughter Miranda started a blog. She really, really, really wants a dog, but I'm allergic, so she has a fish, had a lizard, and now a guinea pig -- and has started a blog about dogs. She asked me to tell you about Miranda's Dog Blog; I promised her I would once she had 10 entries. This is a picture Miranda, Age 8, drew; read more about it here. Will you go visit her blog and leave a comment? Even better, why don't you share her blog with fellow dog lovers, daughters, granddaughters or nieces? We really are a gatekeeper to our children's dreams. What dreams are our children dreaming? And if we can't open the gate (because we don't know how to (e.g. learn to sew or become an Eagle Scout) or don't have the energy), are there people in our sphere that can? The following post is dedicated to my daughter Miranda on her 9th birthday. On my daughter's 8th birthday she was baptized into our church. It was a wonderful day for our family, a milestone within our family's religious tradition, a day she described "as the most important day of her life thus far". In addition (and as part of) its religious significance, this day marked Miranda's willingness to make and own her choices. Miranda is in the center with friends A on the left and E on the right. Miranda chose where and when she'd be baptized, who she wanted to baptize and confirm her (dad and Aaron Hutchins), who would speak (Jen Riddle and Kristy Richards), sing (Sara, Emma and Anna), play the piano (me), pray (her brother and Jeff), and what kind of food she wanted (Swedish cake, cherry cake, and cheesecake). It was also her job to ask the speakers to speak, the singers to sing, etc. In the myth of Psyche, a story which outlines feminine psychological development, Psyche's first task is to sort the seeds, a task symbolic of learning to make choices and prioritize. How are our children learning to make choices and prioritize? Miranda chose two people to speak that she knew, but they weren't the obvious choices. The insights of these particular speakers made the day that much more special. She also asked David to give a prayer. As he prayed that "whatever scares her will go away", it was a tender moment. He teases her and she knows he loves her. As Psyche sorts the seeds, the ants, symbolic of intuition, come to her aid. When was the last time you, or your children, made a choice that wasn't obvious? How did it turn out? Because I spend little time organizing meals, and certainly not for groups of 50 people, I was overwhelmed by the prospect of orchestrating a celebratory party. Roger (my husband) and Kathy Dunnigan had prepared food, but once we were at the church, the food needed to be served, the kitchen cleaned. Women such as Rachael, Lisle and Rebecca helped, and helped without my asking. I was and am grateful, but it would be easy to overlook their contribution to making the day what it was. As Psyche sorts the seeds, the ants are so small, she could have discounted their role. What projects are you currently working on for which your contribution could be overlooked? In turn, who are the ants, nearly overlooked contributors, in your life? What are your religious traditions? In Penelope Trunk's Brazen Careerist blog she writes All Career Issues are Religious Issues. Maybe. Assuming you agree with her assertion, how can a faith tradition which involves learning to make and own our choices help us achieve of our dreams? When my son David was born, I longed to know what he was meant to do in life. I reasoned that, if I knew, I could guide and direct him, making sure he gets 'what he was meant to do' done. ...And simply be happy he was born. And that I get to be his mother. This post is dedicated to my son David on his 13th birthday. When I spoke at Fusion, a women's group here in Boston, Rebecca Nielsen asked the question, "What happens when you have a dream (career), but then you make room for another dream (motherhood), making the prior dream an impossibility? Good question, I thought, and asked her to guest blog. 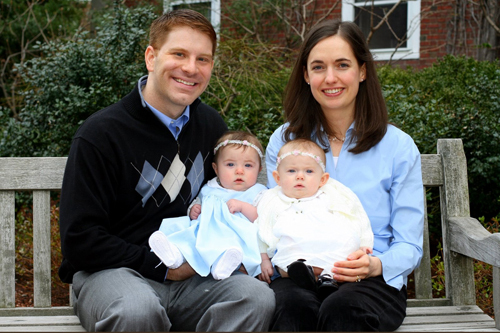 Rebecca is the mother of eight-month-old twin girls, and was previously a Senior Director with UnitedHealth Group. She obtained her MBA from Harvard Business School in 2002, and an AB in History and Literature from Harvard College in 1998. 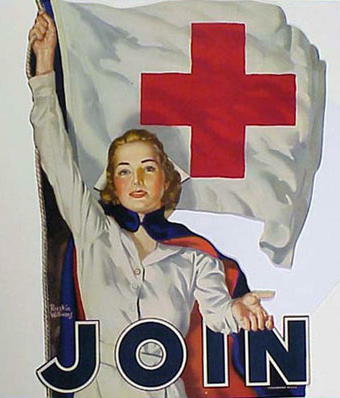 Years ago I set a goal to run the Red Cross. I then determined that attending business school and gaining management skills in the private sector were important steps to qualifying myself to lead a major NGO. When I called my college chemistry professor for a letter of recommendation to business school, he replied, "Rebecca – I don't envision you in business. I see you running the Red Cross." I shared that dream on my business school application and in my entrance interview. After each class I kept a journal of how my education in brand management, strategy, controls or finance would serve me in the non-for-profit arena – and I kept the dream tangible: someday I would run the American Red Cross. After business school I spent five years working in the healthcare industry developing general management skills. Fast forward to the present: I am now a full-time mother of beautiful twin baby girls. Swept up in this dream – which is more purposeful and joyful than I expected – I think more about catching up on sleep than fundraising for disaster relief. However, I heed Langston Hughes' caution about dreams deferred, and welcome the chance to reflect on this goal. I've planted some stakes in the ground as I start this process of reassessing: I savor this time with my girls and I want to spend the bulk of my time with my children for years to come. So, what about the dream? Although I now have competing dreams that need to make room for each other, I am still enthusiastic about making strides in both – but not necessarily at the same time. Within days of receiving the invitation from Whitney to write this blog, I learned of the passing of my aunt. She enjoyed a rich family life and accomplished remarkable professional goals. She did it in stages. When her youngest child started kindergarten, she started writing. In the years that followed, she published twelve books. The fodder for some of her most notable works came from experiences with her children. I anticipate that there will be a season in my life when I will chase my dream of running the Red Cross, and that my experiences as a mother will provide valuable fodder and perspective in championing humanitarian relief. My dream may need to be right-sized as I won't have a traditional management resume – but I am not disheartened. If I am not in a position to lead an established NGO, I will be able to serve on non-profit boards, volunteer in humanitarian relief on a local level, and follow my parents' example of devoting time to an extended humanitarian mission abroad. I may need to become a non-profit entrepreneur, and bootstrap my own effort to make a difference. Although my goal may change, its essence – to use my skills to champion humanitarian relief – is still within reach. Q (Whitney): any questions you would pose to women after having written this? A (Rebecca): Because of our life circumstances, some of our dreams may become less achievable. When is it right to let go, and when do we need to keep striving? Can the process of working towards a dream be enough of a reward in and of itself? Q: How long would you say that it took you to right-size your dream? Has this been in the works since you graduated in 2002? A: I've always wanted to have a family: when I formulated the goal to run the Red Cross, I just felt extremely bullish about finding a way to do both. I anticipated that after several years of mothering I would dust off my resume and charge into the non-profit world. However, exiting the business world with the birth of my children has prompted some reevaluation. While I still feel the enthusiasm for making a contribution in humanitarian relief, I am more accepting of the fact that I may need to apply my skills in less conspicuous ways. As a career counselor told me once, the likelihood of my being the head of the Red Cross is weak at best, even if that were my only goal -- but the likelihood of my making a meaningful contribution in humanitarian relief is within my control. Q. As you've ostensibly closed the door on one dream, what dream have you opened the door to since becoming a mother? What dream is now possible that wasn't before because of your business and mothering experience? A: I feel that I am becoming a more complete person. I remember the relief I felt after coming home from the hospital with our girls, that at last, after 31 years, I could channel the bulk of my energies into something besides my own personal, academic and professional development. My life -- to large extent -- is these two little women, and I find that in letting them be my focus, I like myself better and trust myself more. Q: You said you kept a journal on how you could prepare for the Red Cross... what if you were to keep a journal today -- for even just a month -- recording how your mothering experience can help you to continue to prepare to run the Red Cross. While I agree with you that it is more out-of-reach than it was, I'm not sure that it is entirely.... So would love for you to just imagine and explore a bit. A: That's a great idea -- I'm up for it. I think I will recast the goal a bit, i.e. "how is what I am doing now preparing me to make a significant contribution in the realm of humanitarian relief?" I'd be happy to report back at the end of August with my findings. What dreams have you had that you needed to right size? How did you do it? I was struck by Rebecca's comment that it was a relief to channel her energies into something other than herself. Psyche would certainly appreciate her sentiment. What are your thoughts? Have you thought about keeping a journal that outlines how what you are doing in your life right now will help you achieve your dream? Before you say "nothing", think again. How could Rebecca bring her girls along as she dreams? 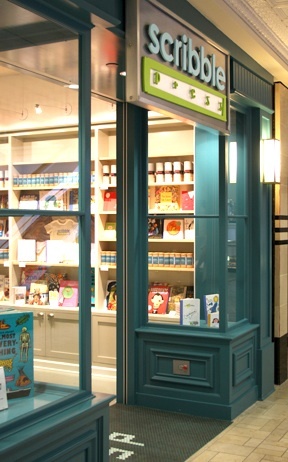 When I was in Mexico last month, my friend David Luhnow told me about his sister-in-law Anna's store Scribble Press, a place where children can write, illustrate and publish their very own books. Why was I so taken by their concept? 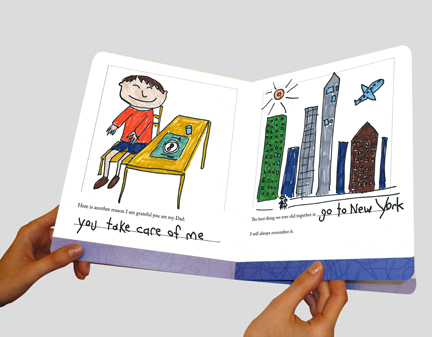 Because Scribble Press helps us help our children move to the center of their story. To dream, not deflect -- to be the hero. For example, Anna shared with me that several children had recently made meaning of their adoption by writing and illustrating books that were then bound before their eyes. 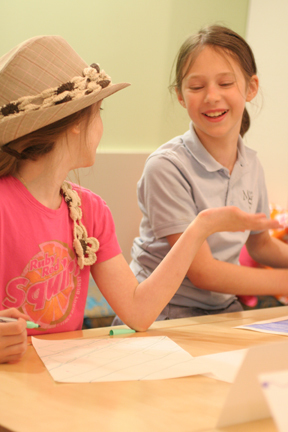 What events do your children need to make meaning of? What do you need to make meaning of? If you are going to be in Los Angeles this summer, and want to encourage your children to be the hero of their story, then run, don't walk, to Scribble Press. In the meantime, take a moment to go to kirtsy and click through on the link Scribbling our children's way to self-esteem. I can't think of a better way to say Atta Girls -- Darcy and Anna!